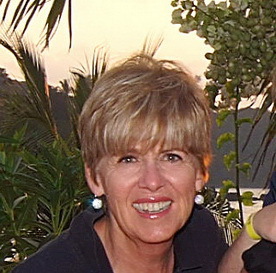 Leslie McDonald has owned Goodway Print and Copy since she graduated from UC Santa Barbara. After growing up in Germany, she moved to Los Angeles for her senior year of high school, and she’s been a fixture in her community ever since. Leslie has served as the president of the United Cerebral Palsy Spastic Children’s Foundation, on the Executive Board of the American Red Cross, as a Cancer Counselor for UCLA hospital, as a dedicated member of the Los Angles Junior League, and as a member of the Nine O'Clock Players, a children's theatre group in the Assistance League. When she’s not at Goodway, she enjoys exercise (she’s done two triathlons and a marathon, and she’s climbed Mount Whitney), volunteering, and traveling. She's tracked gorillas in Uganda, camped out in Timbuktu, and climbed Machu Picchu, but her biggest adventure continues to be running Goodway!